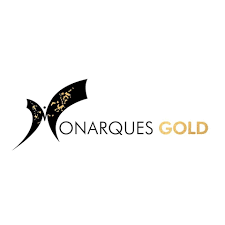 MONARQUES GOLD CORPORATION (TSX: MQR) (OTCMKTS: MRQRF) (FRA: MR7) is pleased to report positive results from the feasibility study prepared by BBA Inc. for the Wasamac Gold project, located 15 km west of Rouyn-Noranda, in Abitibi, Quebec. The purpose of this FS was to complete a review and compilation of the resources re-qualified in October 2017 by Roscoe Postle Associates Inc. incorporate advanced mining designs by integrating the Rail-Veyor® technology and a paste backfill system, investigate processing options, tailings and water management facilities and assess the economics of this underground gold project. The technical report summarizing the results of the FS can be found on the Monarques website via the following link: Wasamac 2018 feasibility study. “This feasibility study also leaves the door open to a potential custom milling option. Eliminating the cost of building a mill and a tailings facility would reduce the initial CAPEX by about $230 million, which could potentially increase the project’s internal rate of return and decrease the payback period. Furthermore, the mine infrastructure will be strategically located on our newly acquired land next to the Trans-Canada highway and 200 metres from the railway leading to all the main regional custom milling facilities. We will study all possible options to put the Wasamac Gold project into production in the best interests of our shareholders,” concluded Mr. Lacoste. 3. Mineral Resources are estimated at a cut-off grade of 1.0 g/t Au. 4. Mineral Resources are estimated using a gold price of US$1,500 per ounce, and exchange rate of US$0.80 = C$1.00. 5. A minimum mining width of four metres was used. 6. A bulk density of 2.8 g/cm3 was used. The mineral reserve estimate for the Wasamac deposit is based on the resource block model provided by RPA to Monarques in 2017, along with the information in the Preliminary Economic Assessment study conducted by RPA in 2012 for the previous mine owner, Richmont Mines Inc. The technical and scientific content of this press release has been reviewed and approved by Marc-André Lavergne, P.Eng., the Corporation’s qualified person under National Instrument 43‑101. Monarques Gold Corporation is an emerging gold mining company focused on pursuing growth through its large portfolio of high-quality projects in the Abitibi mining camp in Quebec, Canada. The Corporation currently owns close to 300 km² of gold properties, including the Wasamac deposit (measured and indicated resource of 2.6 million ounces of gold), the Beaufor Mine, the Croinor Gold, McKenzie Break and Swanson advanced projects and the Camflo and Beacon mills, as well as other promising exploration projects. It also offers custom milling services out of its 1,600 tonne-per-day Camflo mill.